Comté is a form of Gruyere. Indeed, the lowest grade is just sold as Gruyere. But the superior stuff is called Comté, and the top quality is indicated by a green bell on the label. Always look for the green bell! 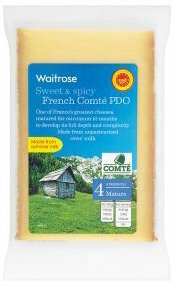 Until recently, the best deal on green bell Comté I'd encountered was available at Waitrose. Their mature Comté normally sells at £16 per kilo. But if you have a "My Waitrose" and you make it one of your regular picks — yes, if you're willing to jump through all those hoops — you can get 20% off, bringing the price down to £12.80 a kilo. Not bad at all, for the real stuff. As I say, Waitrose was reigning champion. 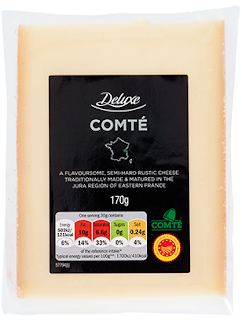 But today I was in Lidl, snooping around (one of my vices) and I discovered, trembling with cheese-hunter's excitement, that they had a Comté, also green bell, which was on special at £1.69 per pack. The packs are 170 grams, so my advanced command of mathematics tells me it's just a shade under ten quid per kilo. 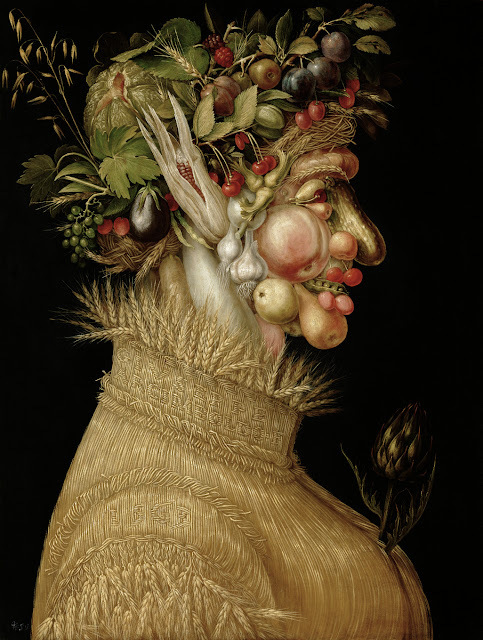 And you may well want to buy a kilo. The Lidl Comté is just excellent. It has a lovely blend of sweetness and citrus sharpness which gives it almost a lemon curd flavour. I recommend it highly, and at that price it's unbeatable. Buy now. Even when the price goes back up, to £1.99 a pack, that still puts it ahead of Waitrose, at under £12 per kilo.